Hepatoblastoma is the most common malignant liver tumor in children. Painless abdominal lump is the most common presentation. Hepatoblastoma is a rare tumor mostly found in children six months to three years of age. Blood tests will include CBC, liver and renal function tests, and alpha -feto protein (AFP, a tumor marker). AFP is a useful tumor marker to monitor the treatment and to pick up a recurrence. 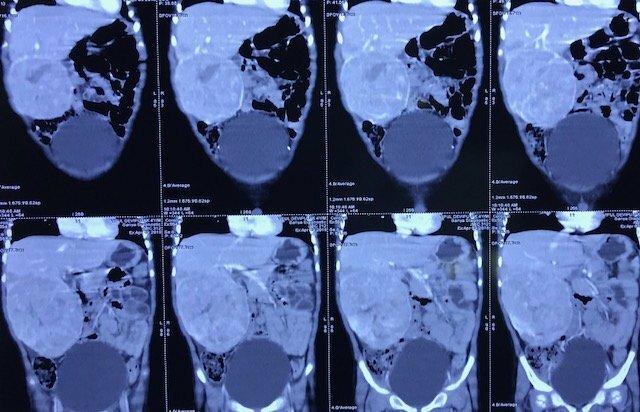 X-rays, sonography of abdomen, contrast CT scan(abdomen& chest) and/or MRI with angiography are the imaging studies required to know the extent of the disease and resectability (safe removal) of the tumor. A tru-cut biopsy of the tumor may also be required for making a definite tissue diagnosis. Surgery, chemotherapy and radiotherapy are the modalities of treatment which are employed in combination depending on the extent of the disease (stage of the tumor) and resectability of the tumor. Surgery: Liver resection is the surgery of choice. 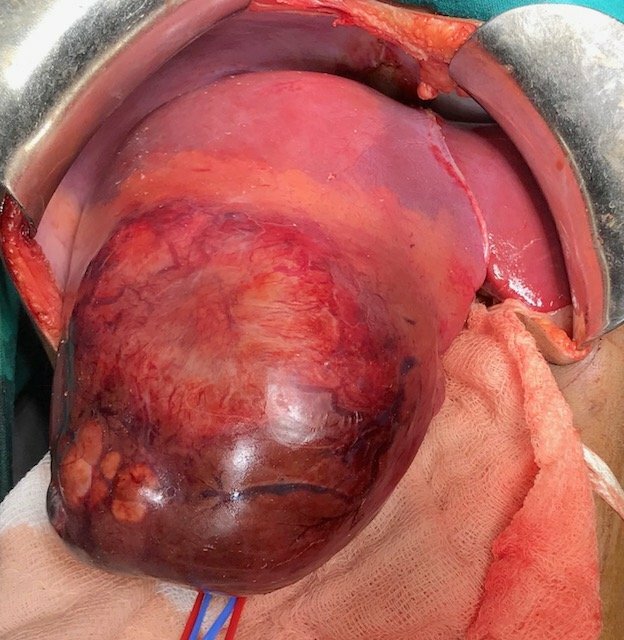 It is performed when (a) tumor is confined to only one lobe of liver and (b) enough liver tissue will remain to support the patient after surgery. After surgery, the remaining liver tissue will regrow and function normally. Rarely, liver transplantation may be the best option. Chemotherapy: Chemotherapy is administered to down stage the tumor and to treat tumor involvement of other organs (metastasis). Many of the cases require chemotherapy first to reduce the tumor size and to improve its resectability. Surgery is performed after down staging the tumor with chemotherapy. Radiotherapy: When complete resection is not possible, radiotherapy may be employed to kill residual tumor cells. The risk of surgery are bleeding, infection and bile leak. Sometimes, the tumor cannot be completely taken out and chemotherapy will be given. 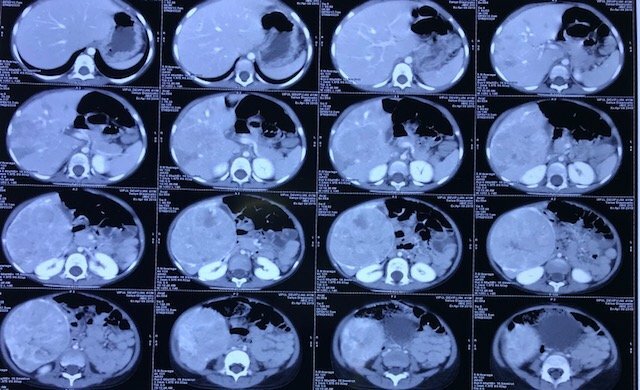 What is the long term prognosis of hepatoblastoma? The overall survival of babies with hepatoblastoma has been steadily improving over the last few decades. The prognosis or chance that the child will do well is dependent on success of removing the tumor and how well he/she responds to the medications.